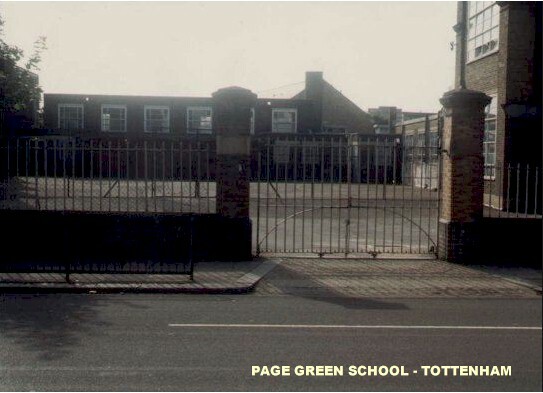 Although, having been aware of the factory for some years, my first, and only comprehensive visit took place during the early summer of 1953 whilst attending Page Green Secondary Modern School in Broad Lane. It has to be said that the pupils, (particularly the boys) were generally considered to be local factory fodder. 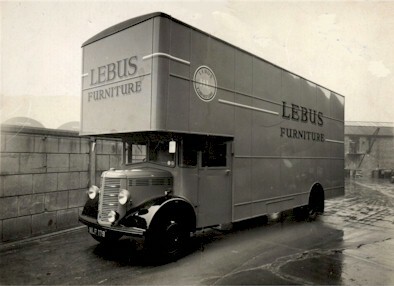 And no doubt with this in mind, the annual school event visit for school leavers was a conducted tour of the nearby Harris Lebus furniture factory. In those days schoolchildren were expected to line up in a file or crocodile two deep, and walk in an orderly and quiet way to ones destination, and thus we proceeded to Ferry Lane via Tottenham Hale, over the Railway Bridge, and lined up outside the Main Office. Alas after all this time I cannot recall how the visit was organised. Having little recollection of the Polishing or upholstery sections, however clearly remember the long West Main Corridor and adjoining passage to the parallel East Main one. Certainly we saw the excellent and well equipped (if poorly located) Surgery. However I have quite strong memories of the southern end of the works, particularly of the cluttered east/west roadway. I recall that here as in the main north/south entry road both lorries and large removal type vans were usually to be seen, along with trailers, factory trolleys and the like, loaded with both raw timber and part constructed items. It was via this crowded route that emergency ambulances had to find their way from Ferry Lane to the southern end of the West Main Corridor in order to collect the more seriously injured workers, and rush them to the Casualty unit of the nearby Prince of Wales Hospital in Tynemouth Road. 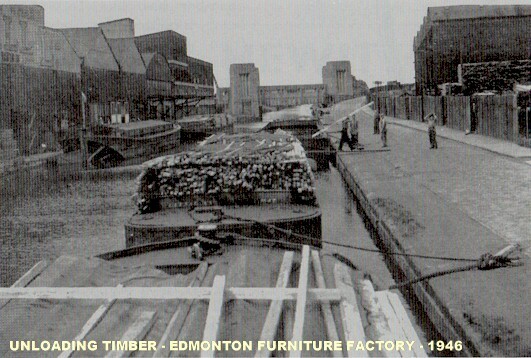 Continuing southwards one came to the timber yard with its drying kilns and stacks of timber that were in the constant process of being unloaded from the Thames lighters or barges. 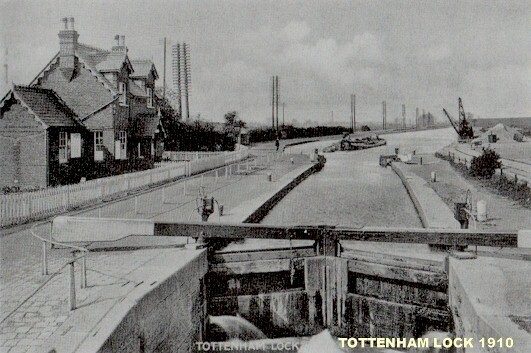 These vast steel vessels were a familiar sight along the River Lea, (and we were used to constant school warnings never to attempt to board or play on them, as they were very dangerous). 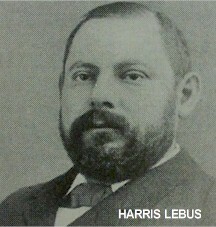 The loaded Lighters, sitting quite low in the water had been towed from the London Docks. 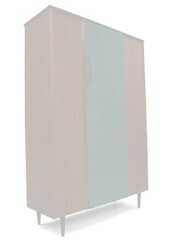 The timber having originally arrived there on ships from around the world. Once emptied the Lighters sat very high up on the water, and it was not unknown for workmen and foolish children to fall into the deep cargo hold. Even worse, if one fell into the water the steep sides and undercut bow and stern of said craft made it impossible to climb out. Also given that they were often moored two or three deep meant that a victim could easily be crushed between them! Six years later, having found my way in and out of several factory jobs, I decided to follow my late fathers footsteps and join the Middlesex Ambulance Service. 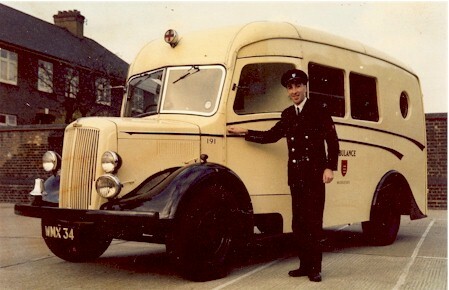 By 1964 I was based at Tottenham Fire Station (next to the Town Hall) working on the Front Line Emergency vehicle. It was the practice within in the service that the two-man crew took daily turns to drive, or attend the patient. 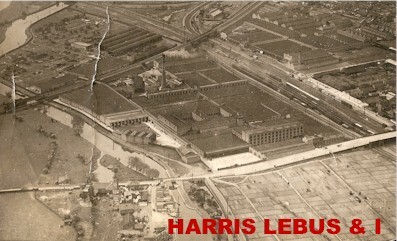 And so it happened that the first time we got a call to the Lebus Factory I (as duty driver) knew exactly where to locate the Surgery. 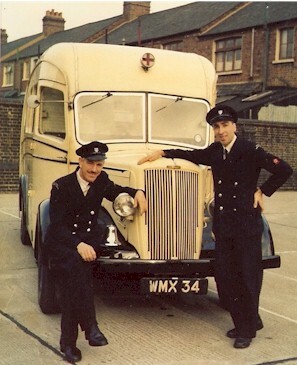 Mark(Bill) Bailey (Right) and his fellow crew Member, Jack Craven, pictured at Wood Green Fire Station in 1961.
rider at Southends famous Kursaal Amusement Park. As you may imagine, given the size and complexity of the factory the types of potential accidents (not to mention general illness) were unlimited. Fortunately the Surgery was well equipped for all but the most serious events, and so visiting ambulance crews usually had a fairly easy time. That said, we never did understand why it was located in such an inaccessible position, and that long walk along the West Main corridor could be something of a trail particularly when dealing with a stretcher case, albeit usually mounted on a stretcher trolley.